It's the year 952 B.C. A rugged looking man is cleaning up the supplies on his fishing boat in a harbor. He looks up, sees you standing there and gives a wave. "Did we catch anything? Lord, yes. We brought in a good catch today. It was a rough one though. We even had a brush with Leviathan during the morning hours. What? Don't tell me you've never heard of Leviathan. Le - Vie - Eh - Thin? He's that old, ugly fire breathing thing that lives in the Mediterranean Sea. He has eyes that glow like the morning sun and his breath is so hot it can boil the sea! Thank goodness we weren't taking a morning swim! He doesn't bug us much though. As long as we leave him alone, he usually leaves us alone. Levi just kind of scares you when you see him, he's so large. Oh, sorry, we nicknamed him Levi. It's easier to say, plus he reminds us of the Levites, the Jewish priests at the temple. They start preaching hell's fire and brimstone and you could swear they're breathing fire too! Stay away from old Levi if you can, he's pretty dangerous. Oh sure, he makes a spectacular display every Fourth of July and New Year's Eve, but you leave that to the professionals. Its a risky business and they know how to handle him. I'd stay away. How realistic is it for a creature to be able to breath fire? In all of creation, is there anything that can do that? Unfortunately, none come to mind except those in legend and history. But lets ignore the history, because some people don't believe it. Let's say that a fire-breathing leviathan is only a legend. If that were the case, are there any animals alive today that have amazing talents like breathing fire? Yes, there are. Did you know that there are three types of electric fish? They include the electric eel, the electric ray and the electric catfish. These types of fish have the ability to attack prey or a predator with an electric shock. Depending on the circumstances, some of them can deliver a shock up to 600 volts through a 1 amp current! That's quite a bit, considering the standard car battery is only 12 volts. These amazing fish have electric organs in their bodies that save up a charge to be delivered when needed. 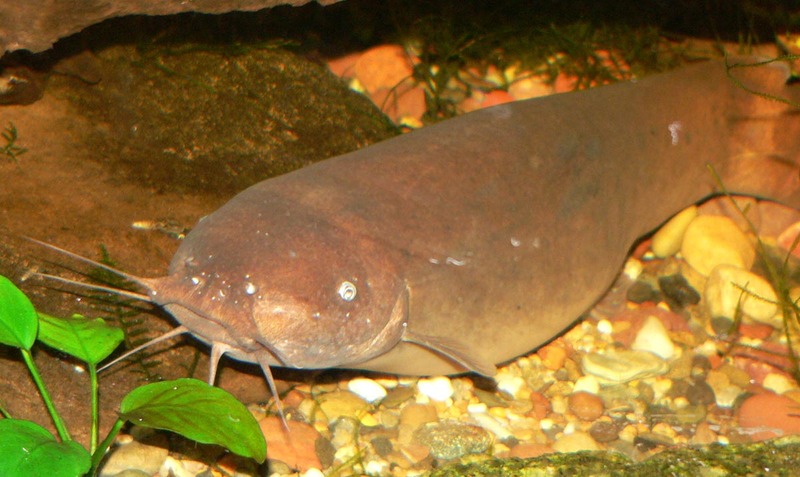 Wikipedia says the electric catfish were even used to treat some nervous diseases in ancient Egypt. I bet that was needed after the 10 plagues. 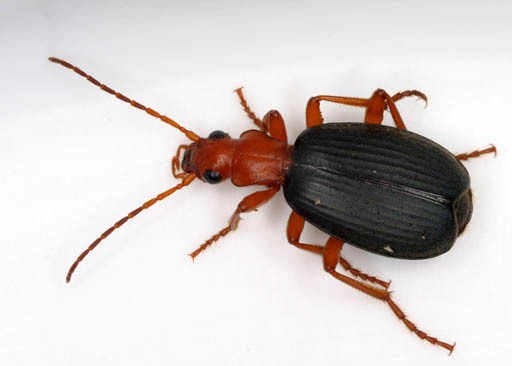 Another amazing creature is the bombardier beetle. If you disturb one you'll hear a popping sound as it releases a hot, noxious chemical spray from it's abdomen. The spray is a mixture of two different chemicals that are stored in the beetle's belly. Upon disturbing him the chemicals are released, mixing together as they eject from his body. The resulting chemical reaction is hot as boiling water and explodes out the beetle's rear-end. The spray is so hot it can kill an attacking insect. Some of these beetles can even target the spray to hit wherever they want! Target practice anyone? Maybe not. There are also glowing fish, like the lantern fish. The entire fish's body doesn't glow, but lantern fish have photophores or light-making organs. These "lights" are different colors on different fish, sometimes blue, green or yellow. The photospores are usually arranged in a pattern on the fish's body. For example, a lantern fish might have the lights around their eyes, down the side or even on the underside of the fish. The ocean is full with a variety of fish that have photospores. The cookiecutter shark has a glowing collar. The Marine Hatchetfish (shown in the picture) has glowing skin to mimic light from the water above, so it can try to hide and escape from predators. The black dragonfish's light is not visible to humans, but it uses the light to hunt when it's hungry. Maybe a fire-breathing sea-monster like the leviathan isn't so hard to imagine. Take a look at this historical reference in the book of Job. His sneezing flashes out light. His eyes are like the eyelids of the morning. Out of his mouth go burning torches. Sparks of fire leap out. Out of his nostrils a smoke goes, as of a boiling pot over a fire of reeds. His breath kindles coals. A flame goes out of his mouth. There are other references in the Bible, including Job 3:8, Psalm 74:14, Psalm 104:26 and Isaiah 27:1. All of which treat the leviathan like it's something you should know about. "Yeah, you know old Levi, he's that big ugly thing out in the sea. You can't miss him, literally. It's impossible." All pictures in this post came from Wikipedia's public domain files. The inspiration for this post came from the video below. It shows the bombardier beetle and gives more explanation on this subject. Ben Russell is author of "Noah Drake And The Dragon Killer". He writes Juvenile/Middle Grade Fiction Adventures. He's not a scientist or a doctor of history; he's just a guy that's interested in those subjects. He's very interested in creation. His inner child gets excited about dinosaurs and the idea that they're not millions of years old. He despises the theory of evolution, believing it's a stumbling block to the Christian faith. Ben is a family man. He and his lovely wife have four happy kids and they make their home among the roaming hills of the Missouri Ozarks. I write Juvenile/Middle Grade Fiction Adventures. I'm an Author, Family Man and a Christian. I get excited about dinosaurs and the idea that they didn't evolve and then die millions of years ago. Are you curious about Biblical Creation? I am, and you'll this book if you are too! You can get BIBLICAL CREATION FOR NEWBIES for free when you sign up below! This exclusive book includes studies from leading creation authors, teachers and scientists! You'll learn biology from Kent Hovind, astronomy from Dr. Edward Boudreaux, archaeology with Dr. Dennis Swift, dragon legends with Dennis Petersen and scientific facts that crush evolution with Vance Ferrell. Plus I'll give you updates on Biblical Creation, Christian Living and even homeschooling!